A major Chinese Zi Char seafood franchise operating mainly in the west of Singapore, Kimly Live Seafood is slowly expanding its influence islandwide. 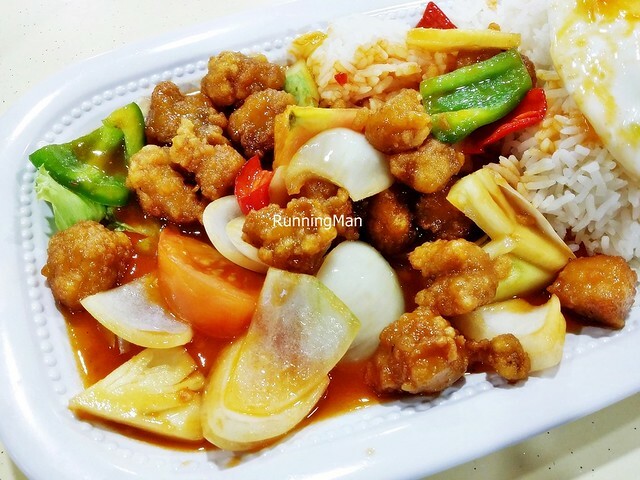 Despite operating in mostly casual heartland environments like food courts or coffee shops, Kimly Live Seafood has gained a loyal following for its authentic, delicious Chinese Zi Char dishes at wallet friendly prices. Being housed mostly in heartland eating areas like coffee shops, the ambience at Kimly Live Seafood is mostly casual, bustling, and noisy. Diners use mostly functional plastic chairs and tables. Don't expect too much ambience here, but the good thing is Kimly Live Seafood always has large communal dining tables blocked for them. Staff at Kimly Live Seafood usually can converse in a mix of Chinese Mandarin and English. Despite the manpower crunch in Singapore, Kimly Live Seafood usually has ample staff in both the kitchen and front of house service, so it's easy to attract their attention. Food is prepared and served quickly, and empty / dirty tables are also cleared efficiently for the next set of diners. Don't expect too much conversation though, staff are always rushing around. Kimly Live Seafood is known for their full flavoured, extremely tasty Chinese Zi Char dishes. 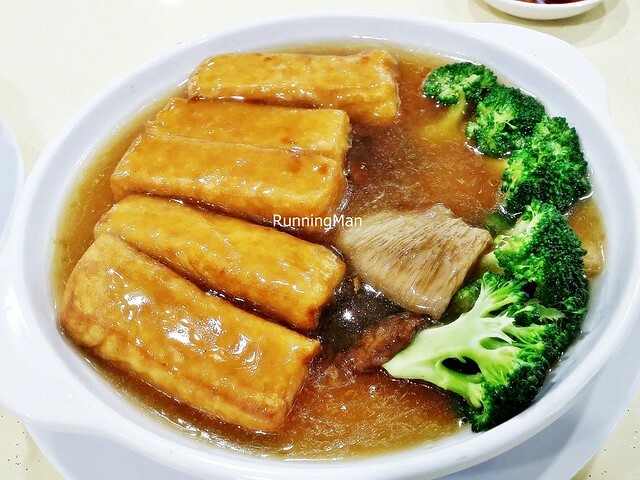 Their seafood is especially fresh, and several tofu beancurd items are made in-house. Portions are designed for communal dining of at least 2 - 3 people, too large for just 1 person. 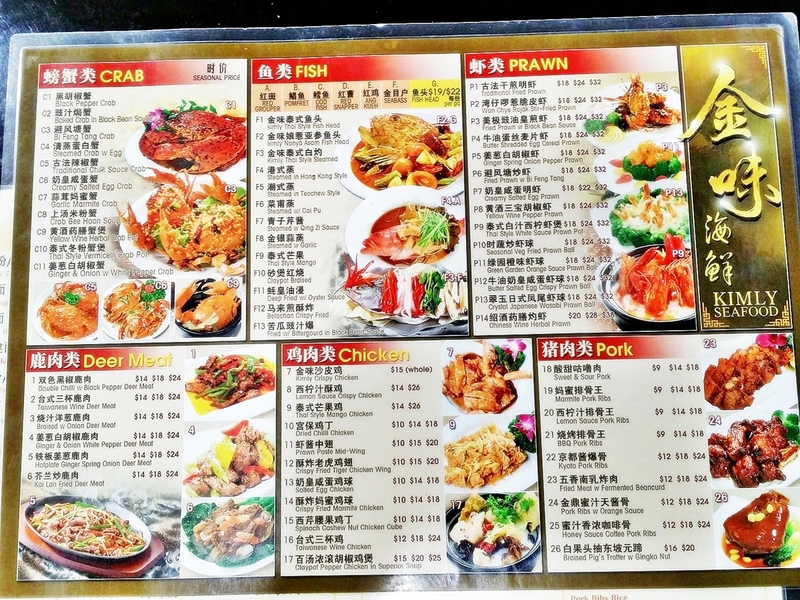 Prices are very affordable, expect to pay about SGD $13 - $20 per person here, even if you order seafood dishes. 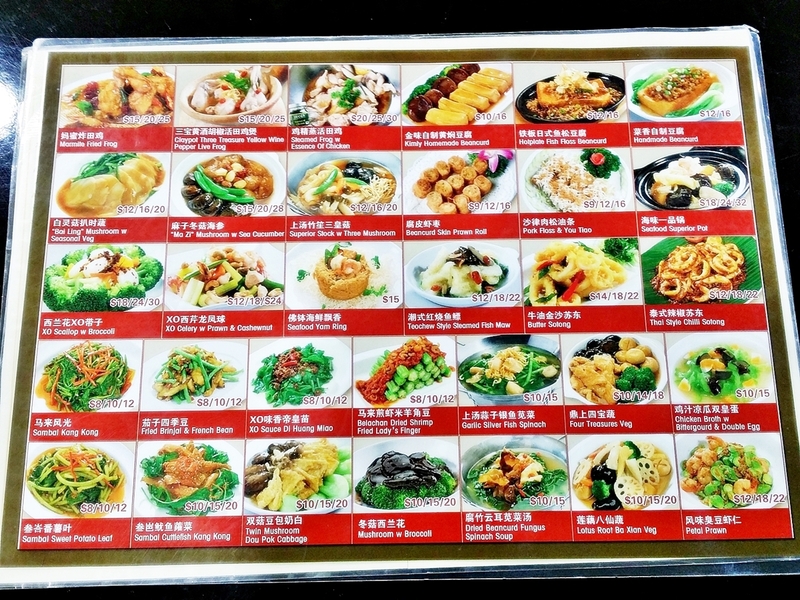 Their menu is rather extensive, and specialities here include their seafood dishes, meat dishes, and tofu beancurd dishes. 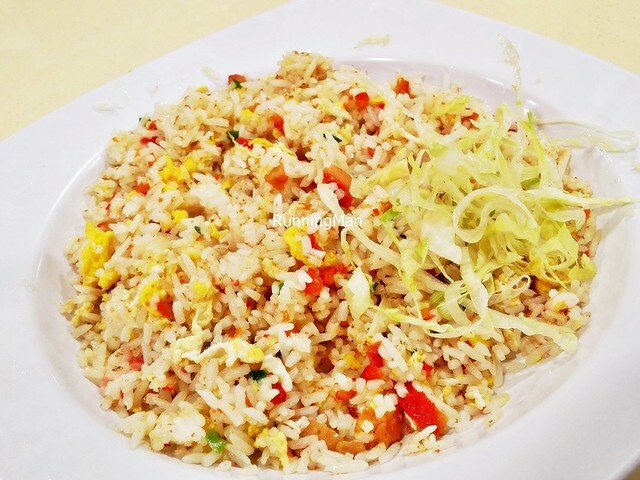 The Yang Zhou Fried Rice (SGD $4 / $6 / $8) was the weakest dish I had here. It wasn't bad, but average at best, with the rice cooked properly, holding a hint of wok hei / breath of the wok. Properly eggy, but the lack of smoky pork meat / Chinese sausage let down the overall taste. Good enough to order, but not on its own. The Kimly Homemade Beancurd (SGD $10 / $16) was excellent. The tofu beancurd was soft and tasty, and the thick, gooey gravy is delicious. The thick, crunchy pieces of broccoli lent good texture, while the soft braised shiitake mushroom slices lent an earthy flavour. 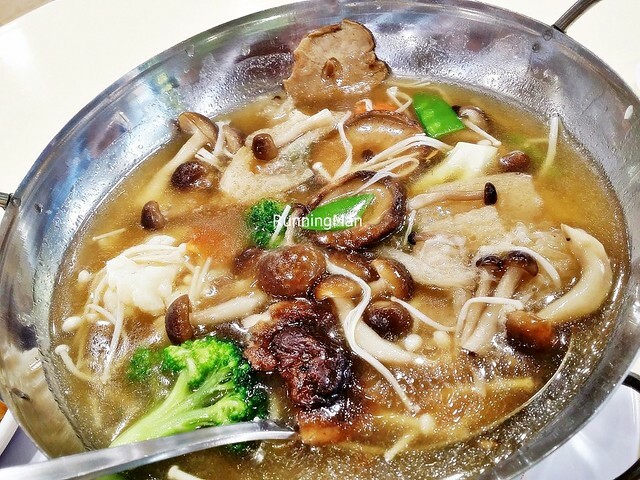 Almost like a combination of a thick soup / broth / stew and a gravy, the Superior Stock With 3 Mushrooms (SGD $12 / $16 / $20) has a drinkable gravy stew, thick and flavourful. Also goes well over rice! The trio of mushrooms, including golden enoki, shiitake, and straw mushrooms, alongside snow peas, broccoli, carrots, and fish maw are all fresh, resulting in a tasty dish. 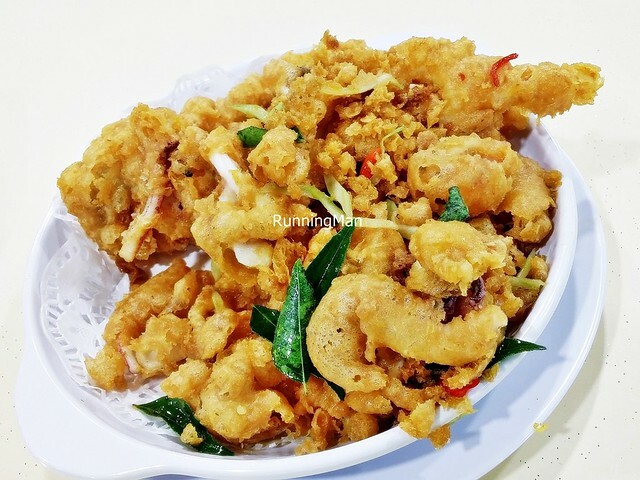 The Butter Squid (SGD $14 / $18 / $22) features a crisp, savoury batter which clings tightly to the fresh, meaty sotong / squid rings. Fragrant with the use of curry leaves, and with a hint of spice from the red chili, the dish is satisfiying, and not too oily. Love the small crunchy bits of fried batter! 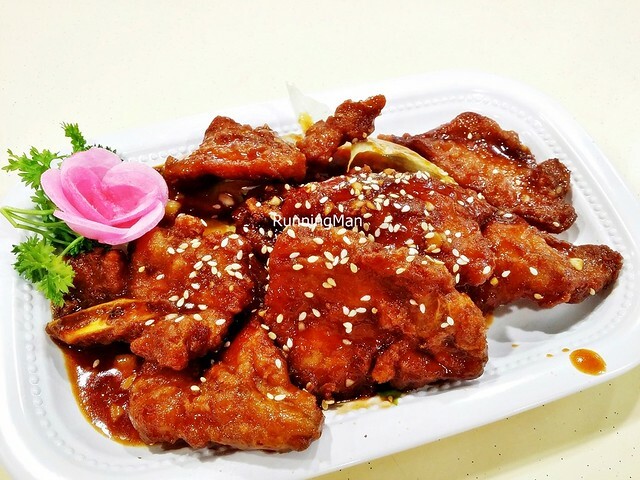 The Pork Ribs With Orange Sauce (SGD $12 / $18 / $24) carries good flavour, with a hint of orange sweetness on the meat. Pity then, that it's slightly overcooked, bordering on dry. The Dried Beancurd Fungus Spinach Soup (SGD $10 / $15) is more like a stew or gravy, rather than a soup. 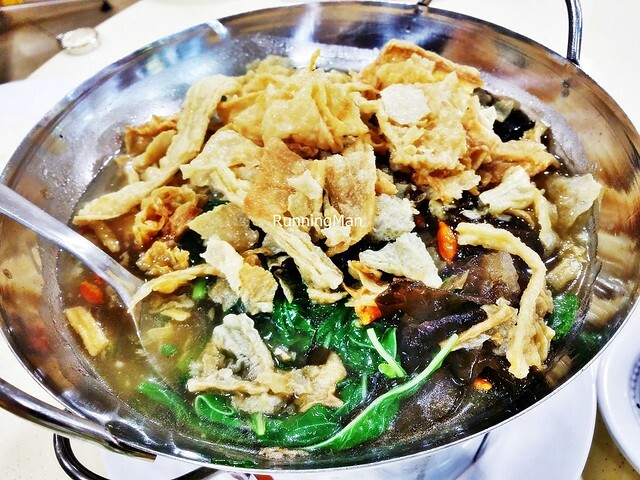 But it tastes good, with soft spinach, still crisp dried beancurd skin, and delicious black fungus. The gravy has that signature savoury, earthy, almost mushroom like taste. Pretty good! Imagine a combination of a Chinese Teochew style steamed fish, and an authentic, clear Thai Tom Yum Soup. The result is the Kimly Thai Style Steamed Seabass Fish (SGD $23 Seasonal Price). 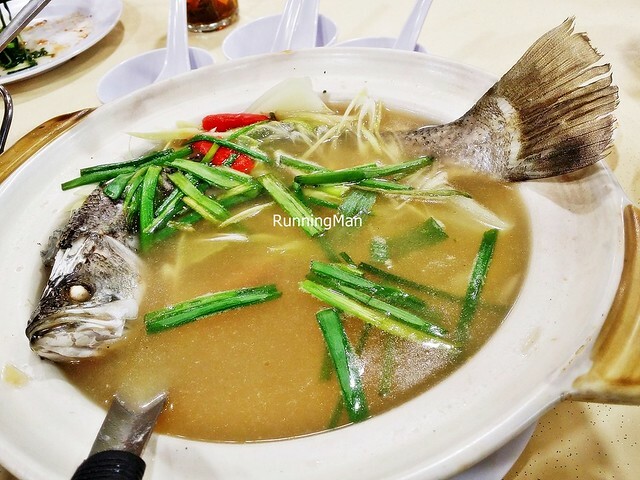 With the unmistakable taste of sour plum, lime juice, and ginger, alongside the use of lemongrass and chili, the claypot soup / broth the fish is served in is sour, spicy, savoury, salty, and all around delicious. Good enough to drink as a soup, not too overwhelming in taste. The seabass fish itself is meaty and fresh, and the portion is large enough for 3 - 4 people. You can order this with other types of fish, ask the staff for recommendations on the daily catch! The Barbecue Pork Ribs (SGD $9) is halfway decent. 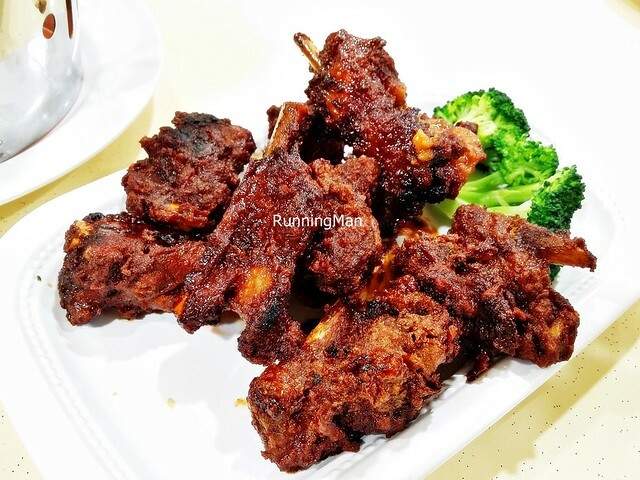 The sauce is nicely savoury with some sweetness, and the meat is moist, coming off the bone easily. But I didn't like that there is quite a bit of fat on the meat, and the texture of the sauce is rather clumpy. The fiery Sambal Sweet Potato Leaf (SGD $8) is rather potent, you can see, and smell, the chili heat even before putting it in your mouth. 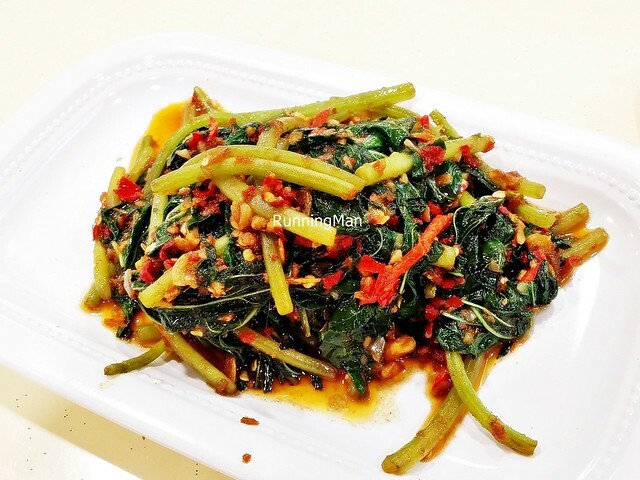 The sweet potato leaf is fresh, with a nice vegetable taste, and the chili isn't powerful enough to overwhelm it. Worth a try, especially for those who like spicy food! The Butter Salted Egg Crispy Prawn (SGD $18) was delicious! 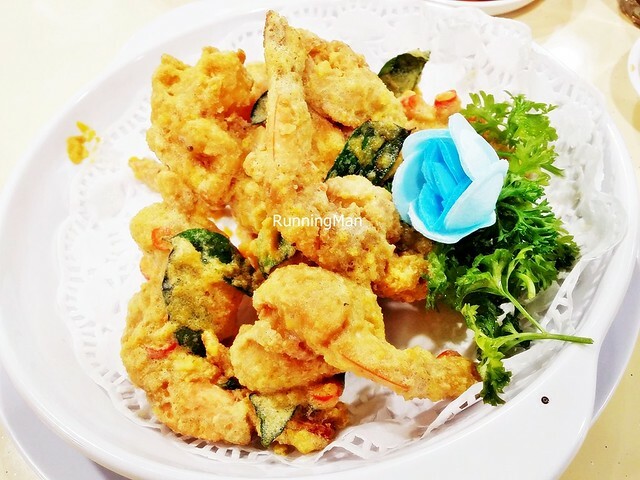 Love the coating of the salted egg, which sticks well to the fresh, meaty prawns, lending a savoury, salty taste. The curry leaves, fried together with the prawns, lends a nice depth of flavour. Good! 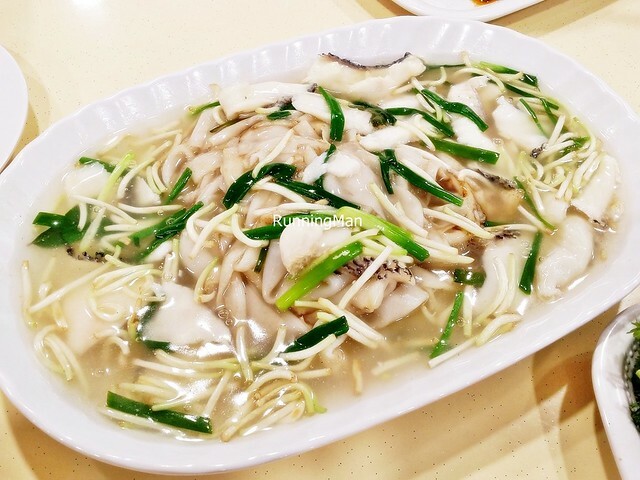 The San Lao Sliced Fish Hor Fun (SGD $4 / $8) has a nice amount of that light, savoury gravy, which balances well with the generous portion of hor fun noodles. The hor fun noodles has that signature 'wok hei', or breath of the wok, with some slight charring. I like that they give a heaping portion of crunchy bean sprouts, which lend texture, and the slices of fresh fish are large and thick. Recommended! The Stir Fried Kai-Lan (SGD $8) is pretty good, fragrant with the use of garlic. 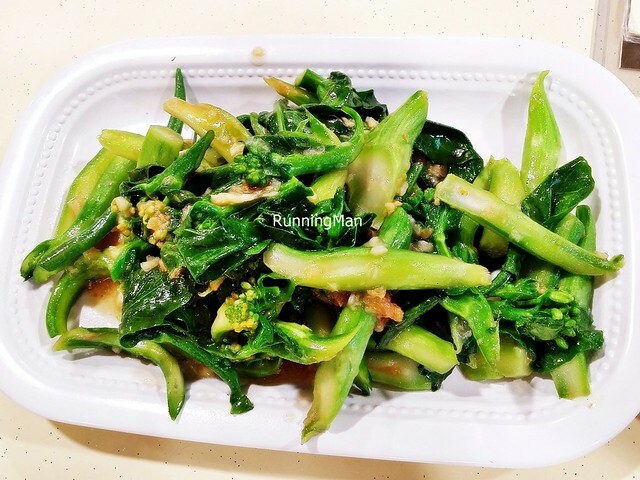 The kai-lan / Chinese kale / Chinese broccoli is fresh, crunchy, and satisfiying. 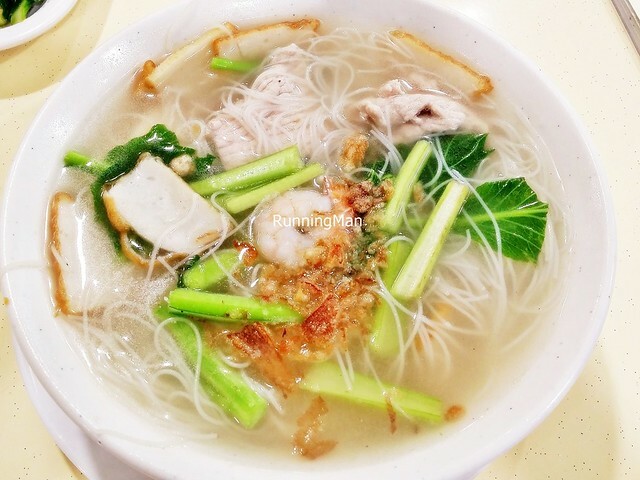 The Bee Hoon Soup (SGD $4) is a clean, light, one dish meal. The bee hoon noodles are thin and light, and the ingredients of fish cake, sliced pork, kai-lan / Chinese kale / Chinese broccoli, and prawns are fresh, though the portion is on the small side. Love the thin, clear, yet flavourful soup. The Twin Mushroom Dou Pok Cabbage (SGD $10 / $15 / $20) features crunchy kai-lan / Chinese kale / Chinese broccoli, soft and tender shiitake mushrooms and straw mushrooms, and nice pieces of dried soy bean skin / tau pok. 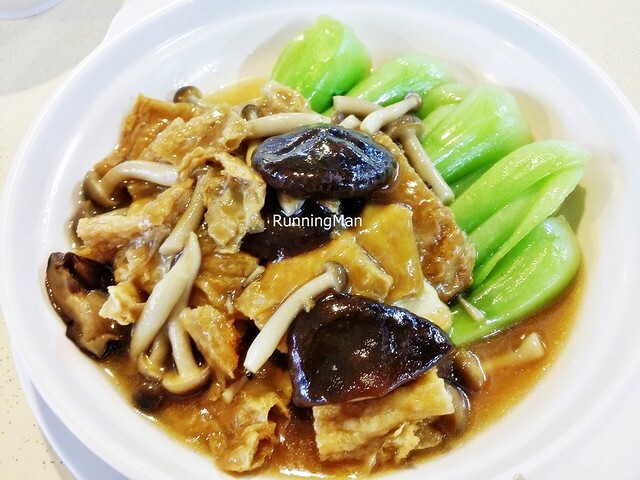 The bean skin picks up the savoury oyster sauce well, and the dish is pleasant, comforting, and rather healthy. 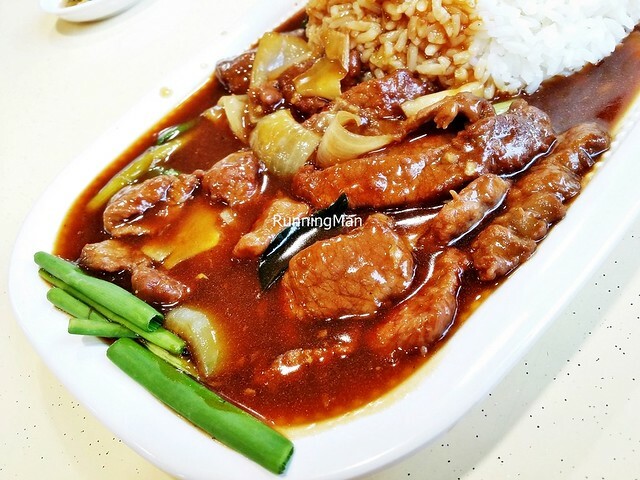 The Ginger & Spring Onion Venison Rice With Egg (SGD $6.60) has a tasty, deep, savoury gravy, fragrant with ginger and fresh spring onions. The venison / deer meat itself is bite sized, but retains a slight chewy texture, though it's flavourful. The rice is rather average, but I was disappointed with the egg, which had a semi solid yolk, even though it was non-greasy. Decent enough dish overall. 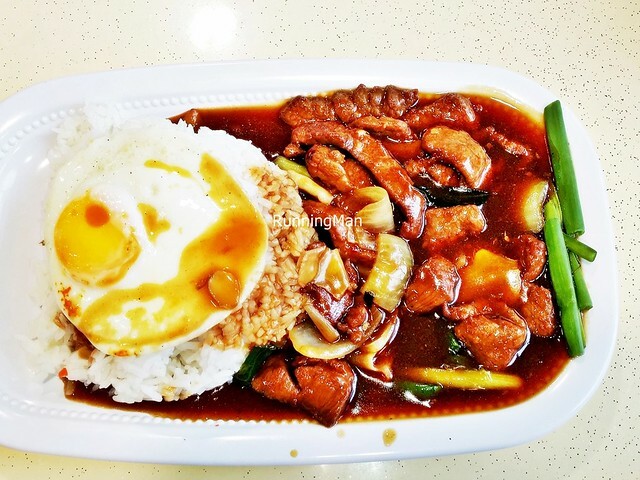 The Sweet & Sour Pork Rice With Egg (SGD $6.60) is decent, with a nice, savoury sweet sauce that is not too thin, almost gravy-like in texture. The pork meat is slightly firm, but fresh. I did feel that there was a little too much onions, and I wish the ratio of bell peppers / capsicum, tomatoes, and pineapples, could be increased. 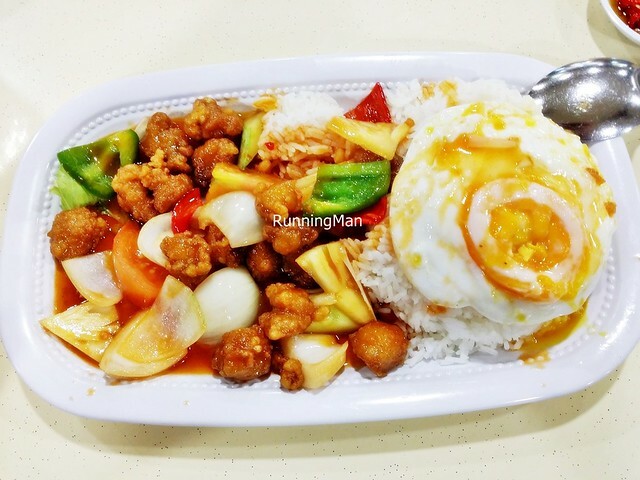 The rice is average, but the egg was a disappointment, as the yolk had already broken over the rice. Update Jun-2015: I'm always a little hesitant when ordering gravy heavy dishes with seafood, as they tend to have very little / non-fresh seafood, or gravy that is too salty. 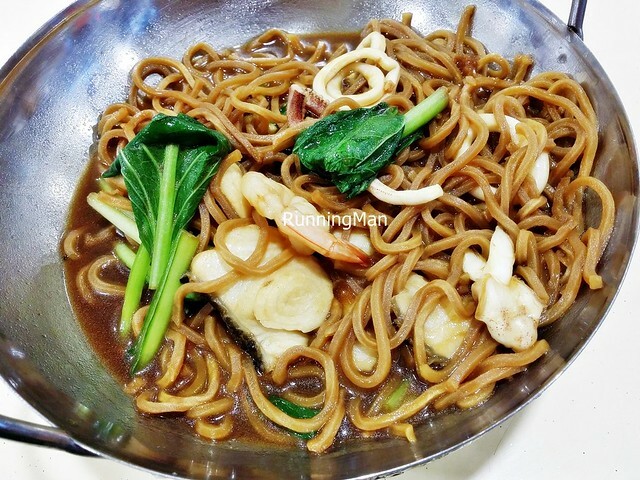 However, the Seafood Yee Mee (SGD $4.50 / $7 / $9) here has a nice savoury gravy without being too salty, and the noodles are slippery and chewy. The portion of seafood is small though, but at least the fish slices, squid, and prawns are fresh. 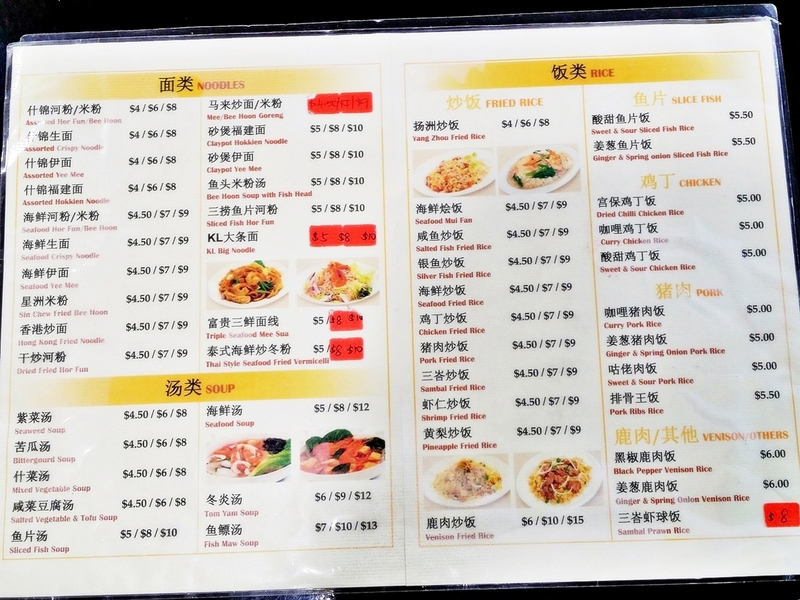 Update Jun-2015: The Hong Kong Style Fried Noodles (SGD $4.50 / $7 / $9) is among the best dishes here! The noodles are stir fried with diced pork slices, crab stick, cabbage, egg, and bean sprouts, in a light soy sauce, then garnished with shredded lettuce and lime juice. 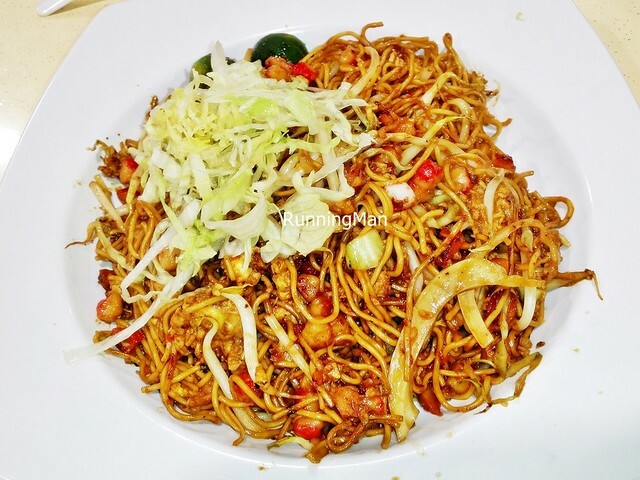 The result is an incredibly fragrant and savoury dish, the noodles are slippery and well coated in sauce, with an eggy, meaty taste from the ingredients, and the vegetables lending a crunch to texture. Highly recommended!